Q:"How can I recover my iPhone calendars from iTunes backup?" Effective use of iTunes for data backup is quite convenient. 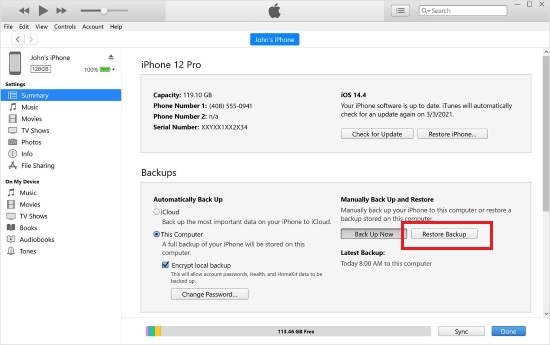 In normal times, you can create backups and make your iPhone data unencrypted or encrypted in iTunes before performing risky operations, such as factory reset, restore iPhone, fix iOS glitches, etc. to prevent data loss. Anyone who is tortured in the loss of data and looking for a way to recover deleted calendars from iPhone backup (iTunes) can take the effort to learn with us. Usually, you can utilize your own iTunes to make a full backup of your iPhone and save it to computer's local folder. This job is rather easy. As long as backups are produced before iPhone calendars loss, the following method is practical for you. Step 3: Choose one from all iTunes backups and click on the "Restore" button to proceed. Note: Bear in mind that restoring iTunes backup to recover the deleted iPhone calendars will replace all present data on your iPhone with the whole selected iTunes backup. If you are unwilling to get other iPhone files overwritten and prefer to a more secure solution, you'd better check the content offered in next part. Joyoshare iPhone Data Recovery is a worthy iTunes backup extractor. It is devoted to recovering lost and deleted iPhone data from both common and encrypted iTunes or iCloud backups, such as calendars, messages, Safari bookmarks, notes, reminders, call history, voicemails, contacts, voice memos, WhatsApp/Kik/Viber attachments, etc. 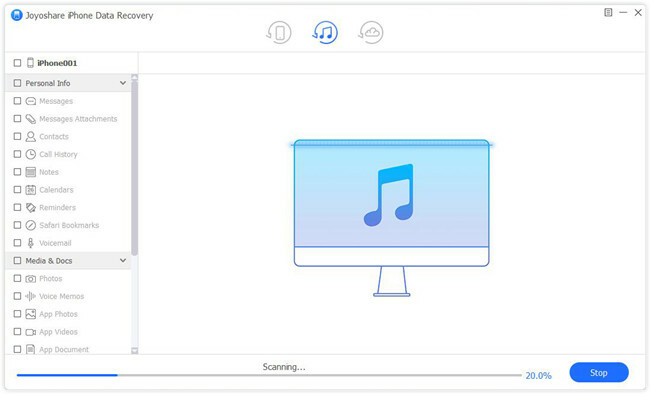 In addition to backups, it also includes full support to directly scan, analyze and retrieve data from iPhone, iPad or iPod touch. 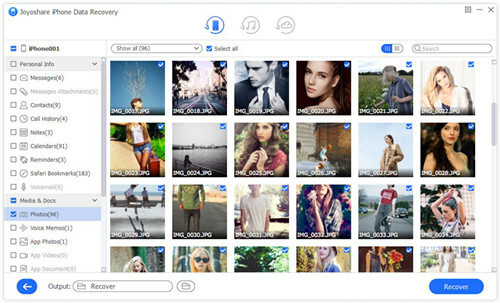 There are various features making Joyoshare iPhone Data Recovery unique and popular, including Apple two-factor authentication, real-time preview, fast scanning speed, broad compatibility to iOS 12 and iOS devices, ability to convert HEIC to JPG, selective retrieval and so forth. According to your own requirement, download and install related version of this program on your Windows or Mac. Now, we'll take a Windows one to explain how to recover deleted iPhone calendar events from iTunes backup. Step 1 Run Joyoshare and select "Recover from iTunes"
Launch Joyoshare iPhone Data Recovery and go to the top navigation bar to set "Recover from iTunes" as recovery mode. 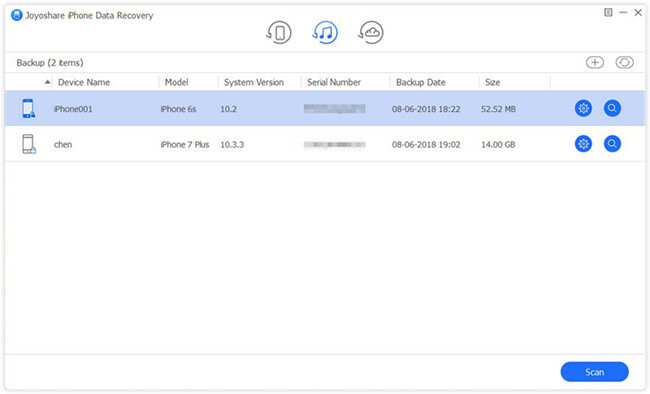 The local iTunes backups saved on your local computer will be detected and displayed by Joyoshare iPhone Data Recovery. Alternatively, you are allowed to click the "+" button to add an iTunes backup from designated folder or make a "Refresh". Then continue to select one iTunes backup, tap on its "Setting" button to choose data type and simply click on the "Scan" button. This iPhone iTunes backup extractor will finish scan and bring all recoverable contents for you. 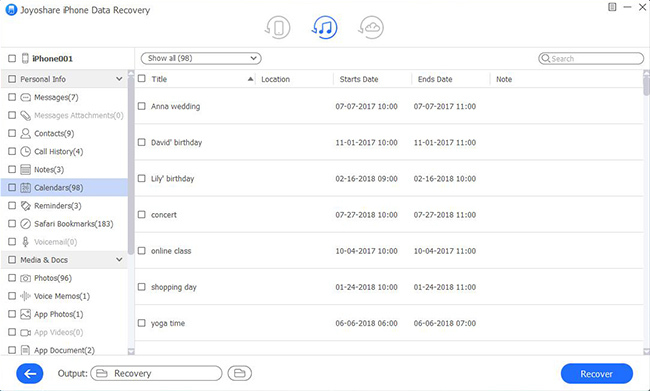 Go to the classified categories to check items in your own way, tick files on "Calendars" and click the "Recover" option to export them.